Segment One (01:27): Former Chicago Bear Otis Wilson talks with Steve and Dr. Cole about how the game has changed from 1985 and about his new book, If These Walls Could Talk: Chicago Bears: Stories from the Chicago Bears Sideline, Locker Room, and Press Box. Led by stars like Walter Payton, Jim McMahon, Mike Singletary, William “Refrigerator” Perry, head coach Mike Ditka, and defensive coordinator Buddy Ryan, the Chicago Bears in the 1980s were an NFL powerhouse. As anyone who’s seen “The Super Bowl Shuffle” surely knows, they were also an unforgettable group of characters. Otis Wilson, the Bears starting outside linebacker, was right in the center of the action, and in this book, Wilson provides a closer look at the great moments and personalities that made this era legendary. Readers will meet the players, coaches, and management and share in their moments of triumph and defeat. Be a fly on the wall as Wilson recounts stories from those days in Chicago, including the 1985 Super Bowl-winning season. If These Walls Could Talk: Chicago Bears will make fans a part of the team’s storied history. Segment Two (12:58): Dr. Cole and Steve discuss the return of Zach LaVine and the rehab process after ACL reconstruction. Fred Hoiberg confirmed that the Bulls will be bringing Zach LaVine (knee) along slowly once he’s cleared for contact. 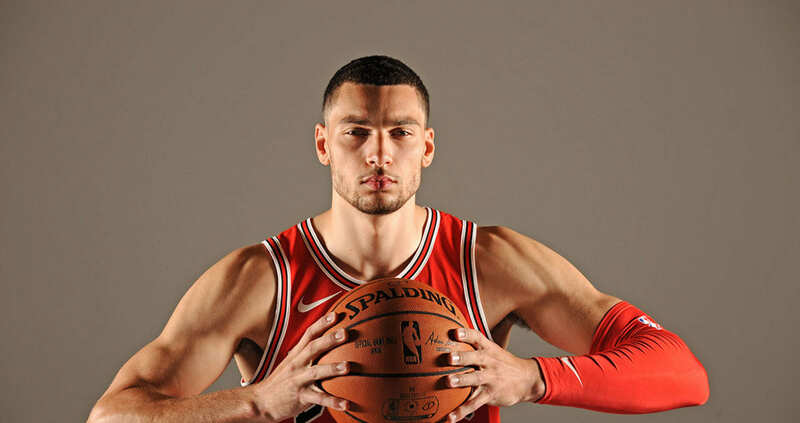 LaVine is on track to be cleared for contact within the next few weeks, but the Bulls will be taking an extremely cautious approach with his return, so it could be a while until he’s fully up to speed working without restrictions. Segment Three (19:41): Karen Malkin from Karen Malkin Health Counseling decribes probiotics, why and when they should be used. Good bacteria are naturally found in your body. You can find probiotics in some foods and supplements. It’s only been since about the mid-1990s that people have wanted to know more about probiotics and their health benefits. Doctors often suggest them to help with digestive problems. And because of their newfound fame, you can find them in everything from yogurt to chocolate. This entry was posted in Articles, Basketball, Football, Injury, Knee, Nutrition, Prevention, Science, Sports, Therapy, Treatment by sportsmedicineweekly. Bookmark the permalink.